Gen Z and millennials both belong to the young generations. They are characterized as technology savvy and they daily use social media sites like Facebook, Instagram, Tweeter, and YouTube. Also, they are passion-oriented, development-focused, driven to make a difference, and motivated by entrepreneurship. Students belonging to these generations may also be seen hanging out together at a university cafeteria due to their overlapping ages. Regarding their main distinction, those belonging to Gen Z are often defined as those between 1995 to 2012 while millennials were born between 1980 to 1994. The following discussions further delve into their differences. Who are the “Gen Z”? This word came from “millennium” which means a thousand years. The term was coined by historians Neil Howe and William Strauss in 1991. 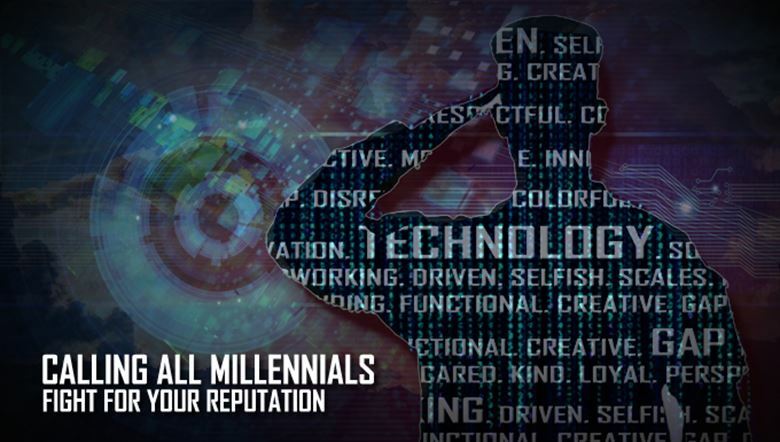 In their book, “Generations”, millennial was chosen to aptly reflect the result of their research which reflected that such generation is highly distinctive as compared to the baby boomers. Moreover, they had thought about the oldest millennials graduating from high school in the year 2000, which was a famed year in the 90s. Howe and Strauss predicted that during the adulthood of the majority of the millennials, family ties would be stronger, criminal behavior would be lessened, and those in their 20s would take less risks. Apparently, these predictions all came true. The millennials are also knowns as “generation Y” or “the me generation” due to the claim that they are prone to be self-centered. Those belonging to Gen Z were born from 1995 to 2012 while millennials were born from 1980 to 1994. To date, the oldest millennial is 38 years old while the oldest Gen Z is 23. Due to the influence of apps and speedier technology, Gen Z tend to have shorter attention spans as compared to millennials. This also implies that millennials could wait longer and endure less entertaining situations than those from the generation Z. Since the millennials experienced the recession, they tend to be more frugal than their younger counterparts. In fact, a survey concluded that millennials have higher preferences to visit a website just to get a discount coupon as compared to Gen Z. Similarly, millennials follow products’ ads before buying them. The most used devices of Gen Z are smartphones, TV sets, and laptops. On the other hand, millennials most often use desktops, smart phone, and TV sets. As compared to millennials, those from the Gen Z are more difficult to be reached by advertisements since many of them are on multiple platforms and they are more active in using adblocking softwares. 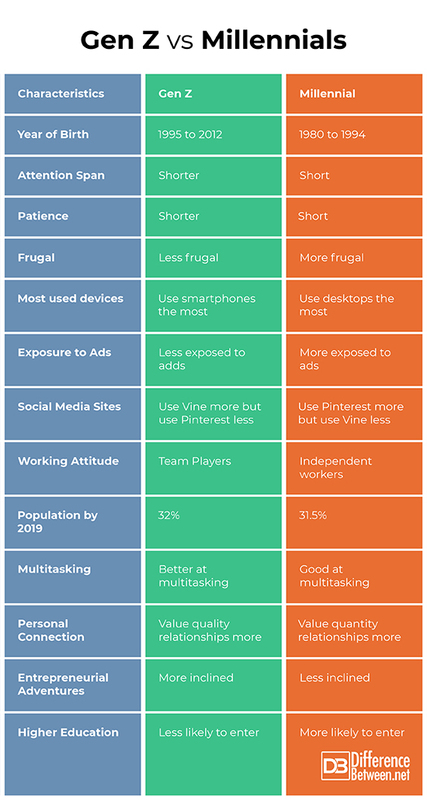 Though both Gen Z and Millennials actively use social media sites, a survey indicated that millennials tend to use Pinterest more frequently while Gen Z are more into Vine. This implies that the older generation is more comfortable with sharing and browsing pictures while millennials prefer videos more. The working personality of most millennials veer towards independence while that of Gen Z reflect the team player attitude. As compared to millennials, Gen Z thinkers are better at multitasking since their brains have been conditioned to perceive various stimuli which is largely caused by newer apps and devices. By 2019, Gen Z is expected to surpass the millennials when it comes to number as they will comprise around 32% of the population. In turn, millennials will outnumber baby boomers. As compared to millennials, Gen Z friends look for more quality relationships as compared to meaningless connections. They have apparently learned from their seniors as they have seen how millennials’ quantity-based friendships resulted to less genuine conversations. Gen Z entrepreneurs are more adventurous with their greater desire to start businesses as compared to their predecessors. One of the possible reasons is the lesser amount needed in setting up shop as online entrepreneurship does not need that much financial support. In addition, the mushrooming of start-up companies has encouraged bolder business moves. As compared to Gen Z, more millennials think of entering higher education. The younger generation do not feel that comfortable with the traditional educational system and prefer to enroll online and launch their careers early on. Gen Z and millennials are both belong to the young generations. Gen Z were born from 1995-2012 while millennials were born from 1980 to 1994. Gen Z have shorter attention spans, are better at multitasking, are more inclined to take entrepreneurial risks, and are better team players. Millennials are more likely to enter higher education, value quantity over quality relationships, and take steps to save money. gene balinggan. "Difference Between Gen Z and Millennials." DifferenceBetween.net. 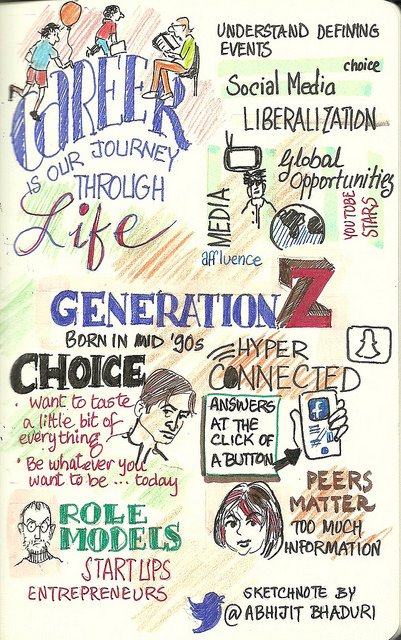 April 2, 2019 < http://www.differencebetween.net/editor-pick/difference-between-gen-z-and-millennials/ >. Koulopoulos, Thomas and Keldsen, Dan. The Gen Z Effect. New York, NY: Bibliomotion, 2016. Print.